There's no rocket science behind efficiently using Instagram Stories. In fact, most of us capture what we ate, where we went, whom we met, and what was remarkable – these feed our Instagram Stories. Instagram Stories last for 24 hours, and let you have a glance of the exciting things in people's lives within few seconds. You might be using Instagram but there is a lot to explore inside the app. You can transform your regular photos and video posts in an innovative and enchanting way using the latest features. Let's get through this detailed guide to understand how to use Instagram Stories efficiently. Before you use Instagram Stories, it is important to know how to create these stories. There are number of features and filters in Instagram, but you achieve the best out of them once you learn their nuances. Let's learn how to make stories on Instagram first, and then the detailed tips and tricks to master the art. Here we go! Instagram Stories can be either photos or seconds-long videos. These stories can be made out of already existing photographs or videos in your phone, snaps downloaded from Snapchat, or you can click or shoot them live depending on your need. Not only individuals but big brands too reach their audiences using Instagram Stories, by posting lucrative stories on their Instagram profile. Here is the step-by-step guide to understand how to create and use Instagram Stories. First of all, update your Instagram app and then launch it. Now, you can make your first ever Instagram Story in 3 ways. You can select any of the below mentioned options. a. Tap on the camera icon at the top-left corner on your Instagram screen. b.	Click your profile picture with a '+' sign from the 'Stories' section (it's found just below the camera icon). c.	You can swipe right on the screen (to launch the Instagram Camera there). If you want to post a picture or video you have already in your mobile phone, you can make it your Insta story. For that you need to swipe up on your screen, after you have launched the Instagram Camera. It will open up your Gallery and you can select the preferred picture or video and click 'Send to'. On the next page, tap on 'Your Story' and then click 'Share'. Now, your first Instagram Story is out for your contacts to see. In case, you want capture and share the breathtaking surrounding you are vacationing in, Instagram Stories will let you do that instantly. Instagram allows brilliant camera lenses to capture in-app shots, be it a video or still (picture). Mastering them would help you how to use Instagram Stories at their best. 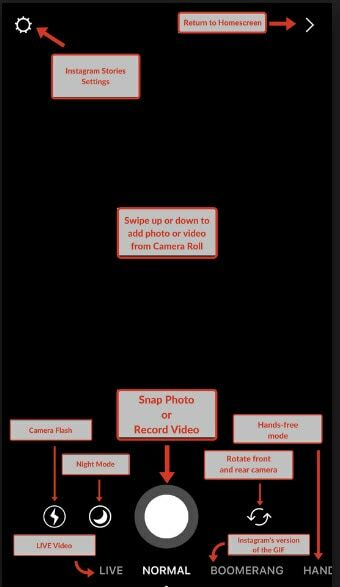 Here is the list of options to choose from while clicking a picture or shooting a video with Instagram app. Note: By default the 'Normal' mode is ready to capture your subject. We bring you the entire list of options, for clicking amazing shots perfect to adorn your Insta Stories. This mode is by available by default. You need to hold the camera button to shoot a video, as tapping it clicks a picture. Once you shoot the video, you can save it or share as a story on Instagram. Click on the 'Live' option on your camera. It will start shooting and broadcasting live on Instagram. You will reach live to your friends and followers, and they can leave comments that you can read and respond online. You can save the video, let it vanish, or share as your Instagram Stories for a day (24 hours), once the broadcast is over. 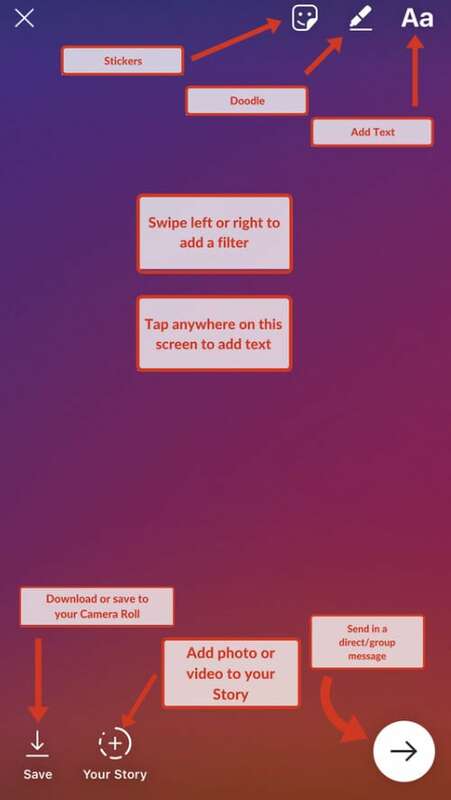 Moreover, you can add people, select filters, and flip the camera as well. You can shoot with this mode to create funny GIFs that keeps on looping. The video is captured up to 3 seconds duration. All you need to do is tap on the 'Boomerang' button and snap! Post it as your story on Instagram and bring a burst of laughter to your friends! This is an interesting camera lens for videos in Instagram. You can add dramatic background music by tapping the music icon just above the camera icon. All you need to do is, select the music and then hold the camera button to shoot the subject. The video will zoom in to show you a closer look of the subject and play the soundtrack as well. This lens is going to make your Insta Stories super exciting. How about recording people greeting each other with a hug? Through 'Rewind' you will see the video in the reverse order. They won't be moving forward to hug; rather the video will show them open their arms and then move backwards away from each other. Interesting, isn't it? Shoot it and share as your Instagram Story. So, you have tried all the options with Instagram camera? Let's go through 'Hands-Free'. Like the name suggests, you can record your own video by mounting your mobile at a stable place without holding the camera button. 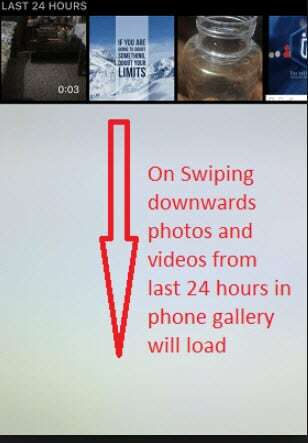 In this case, you may have to tell someone to tap the camera button and the video will start recording. After you have captured the video using any of the above lenses, you can share them as your Insta Story. We are sure that you have enjoyed reading about these cool camera lenses. It's time to go out and check how to use them for Instagram Stories. So, get ready with your smartphone and start capturing. Click! Click! Click! Now that you have an idea about all the filters and lenses of Instagram, we thought of introducing you to some cool add-ons for your captivating Instagram Stories. 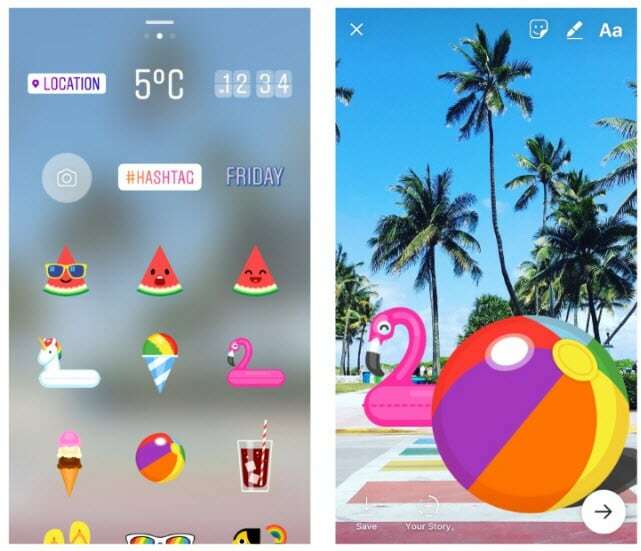 Using 'Stickers' with your video or images you can spice up your Insta Stories. To use these stickers, first open Instagram, and then capture a video/picture or select one from your gallery. Now, tap on the smiley icon at the top right corner of the picture or video. You will see lot of options under it. Select any of them and then pin it to your picture/video to share. You can resize the 'Stickers' by pinching (to zoom in and out) them. You can add 'Polls', 'Location', and 'Hashtags' to your Insta Stories by tapping the respective icon from the 'Stickers' list. 'Poll' allows you to add 'Yes' or 'No' option with a question, to measure the engagement for your photo/video on Instagram. 'Location' helps you tag the location to your image/video. Adding #Hashtags acts in the same way as that of the description of your Instagram post and makes it searchable. To turn your own face into a sticker, you can tap the camera icon under the 'Stickers' section and take a selfie. Then tap on the selfie to pin it as a sticker on your picture or video, and then share as your Instagram Story. Now that you have used funny stickers to make your picture (for Insta Story) attractive, how about adding a cute personal note as well? Well, you can do that by tapping on the pen icon right next to 'Stickers'. Select the desired pen type (highlighter, airbrush, eraser, etc.) from the top and then color from the bottom of the screen. You can adjust the pen size using the slider found at the left side. 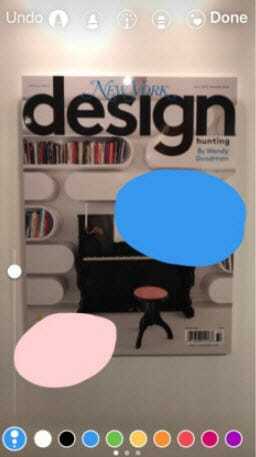 After writing or doodling on the image, tap on the tick mark at the top right corner and you are good to go. Whoa! 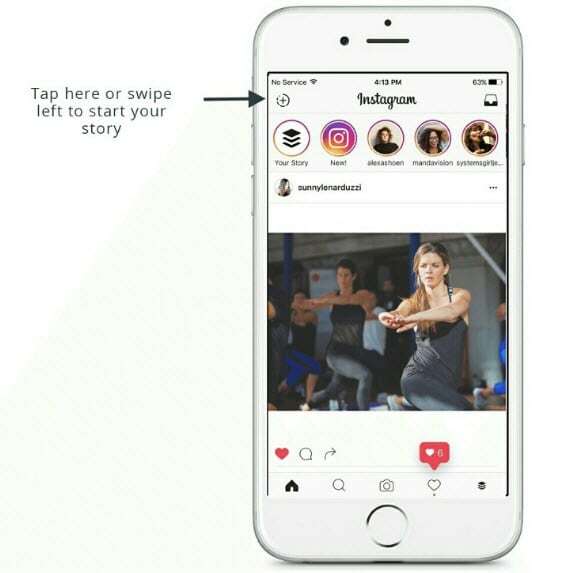 You are becoming a sport at how to use Instagram Stories. You can also add text to make your Instagram Stories more attractive. Tap on the 'Aa' icon on the extreme right corner of your screen (in Instagram camera) and start typing. You can change the font style by tapping the style available on top of the screen, as well as select the color of the 'Text'. You can also tag people in 'Text' by typing '@' and then the handle name of the person, then click on their image. Adorn your creative hat and weave some magic into the Insta Stories now. For adding color overlays to your Insta Story image or video you need to use the 'Pen' tool here and choose a color. Now, click anywhere on the screen and hold for a moment until the entire screen is covered with that color. After that tap on the 'Eraser' tool and uncover specific portions of the picture or video to create interesting Instagram Stories. Adding links to your Instagram Stories is one of the trendiest things now. Gone are the days of 'link in bio' under your description. Though, adding a link to your Instagram Story is now restricted to the verified accounts and business profiles with more than 10,000 followers. This is an interesting way of driving traffic to your business page, or your YouTube channel, and the likes. First add a video or picture and then click on the paperclip icon from the top right corner of the screen. Enter your URL after tapping the paperclip icon, and then share it as your Instagram Story to lure your audience. The 'Swipe Up' message will be displayed at the bottom of the story. You can drive your audience towards it by being little creative and drawing an arrow pointing to this text. 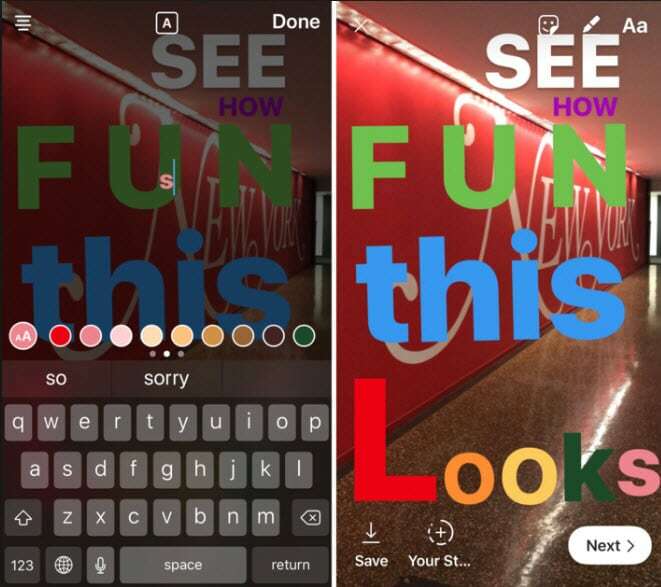 If adding 'Stickers', 'Text', and choosing filters aren't enough for your perfect Insta Story video, why don't you try adding your favorite music to it? First of all play an audio using the inbuilt player in your phone (you can stream online as well) and then move to Instagram and tap the camera icon to shoot the video. When your recording is complete, you can share this video along with your favorite track as your Instagram Story. Take care that the music icon is not muted ('X' mark over it). With this complete guide for Instagram Stories, we are hopeful that you are going to be a pro in how to use Instagram Stories. Bring out that creative soul in you and explore the world of Insta Stories with these amazingly cool features. Keep telling your stories through your camera lens (the Instagram one! ).